This bright Orange In Spanish colored flashcard can be printed easily and used as a large flashcard in classroom lessons to teach children easy vocabulary and simple words. The set of color flashcards are free to print and make a suitable teaching resource for schools; ideal for teachers and tutors of this language. This is a flashcard for teaching the word for Orange In Spanish which is naranja. Please refer to our Colors pronunciation video if you would like to learn how to say the word naranja correctly. It's easy to print this Orange flashcard, please right click on the picture and select print. This is a good way to teach babies, toddlers, preschoolers and other young children beginning the language. Kids can associate with bright colors and pictures which makes learning the words for colors easier for them to understand and remember. This is great way to teach and test their knowledge. It's also a good way to teach older children how to write and spell basic vocabulary and important words which they're going to need for everyday conversation. 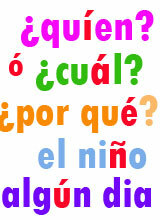 Printable Color Orange In Spanish Flashcard for Children and ideas for lesson planning and teaching languages. Free printable color naranja flashcard for kids and teachers. Fun Color Flashcards for kids and teachers - free to print.